Baby and child colour variations wardrobe Standard has two doors with variable shelves behind them and two drawers for easier organisation of your child`s garments. This baby and child room wardrobe could be your choice as best baby and child room piece of furniture for baby room. Review also a baby and child room dressers, or more economy wardrobe or more luxury baby and child wardrobe among the rich variety of baby and child room wardrobes and dressers. 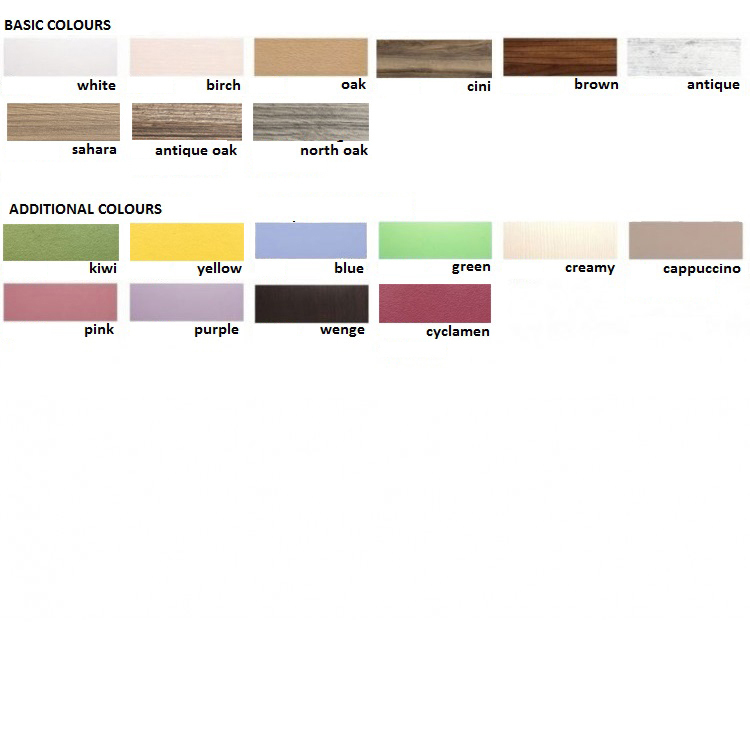 IMPORTANT: the colour combinations on the images are sample and you need to select your own colour combination of basic and additional colour.